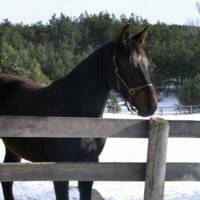 In order to keep stalls open for clients, most of Grandview's young or breeding stock is located at its breeding partner's farm north of Barrie, where the babies get to grow up outside, in a herd, enjoying being the youngsters that they are. 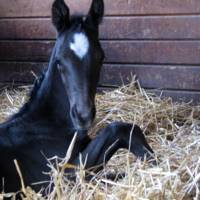 Having said that, extensive handling and imprinting is done with them as babies, and we try to bring any of the babies down to Grandview that would benefit from a month or two of more structured handling to ensure that we produce well adjusted, well mannered equine partners. When dealing with the babies, we subscribe to the saying, "You ride the horse you lead."